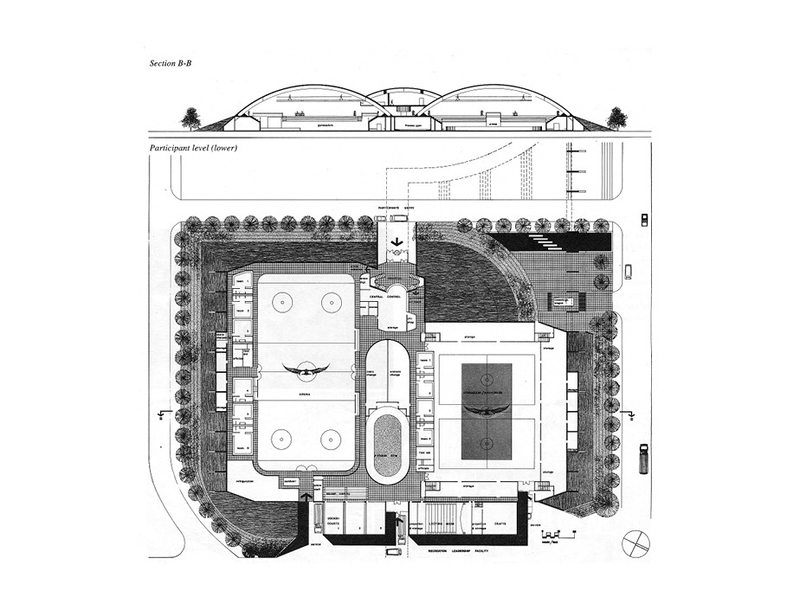 Conestoga College Athletic & Recreation Facilities - Strasman Architects Inc. 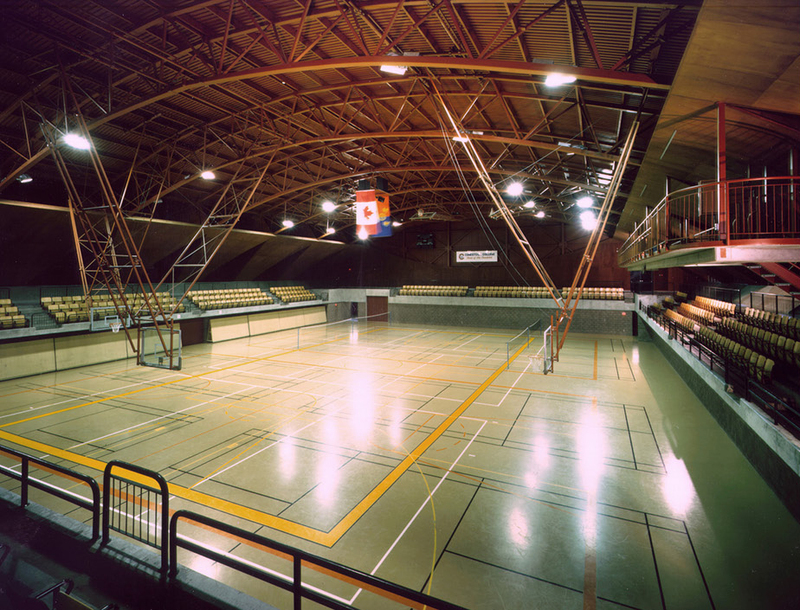 The Athletic Complex at Conestoga College was designed to serve both the college and the community and, therefore, included an extensive programme. The building, which was designed for the addition of an Olympic-size pool in Stage Two, covers over 100,000 square feet. It includes a 120’ x 140’ gymnatorium that houses an international-size basketball court, as well as an international-size ice arena, fitness gym, squash courts, and other valuable programmes and spaces. 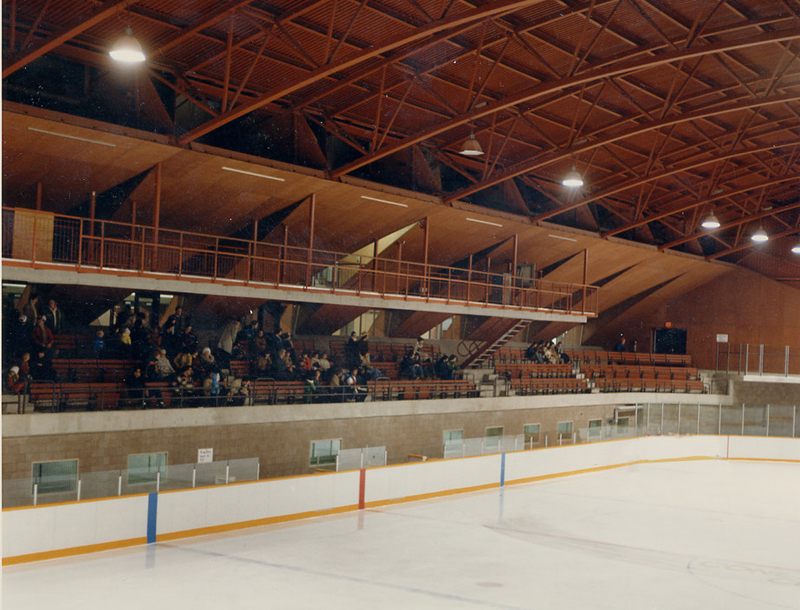 The Athletic Complex was also designed to be an extension of the landscape and utilized earth berms to reduce the visual scale of the building. 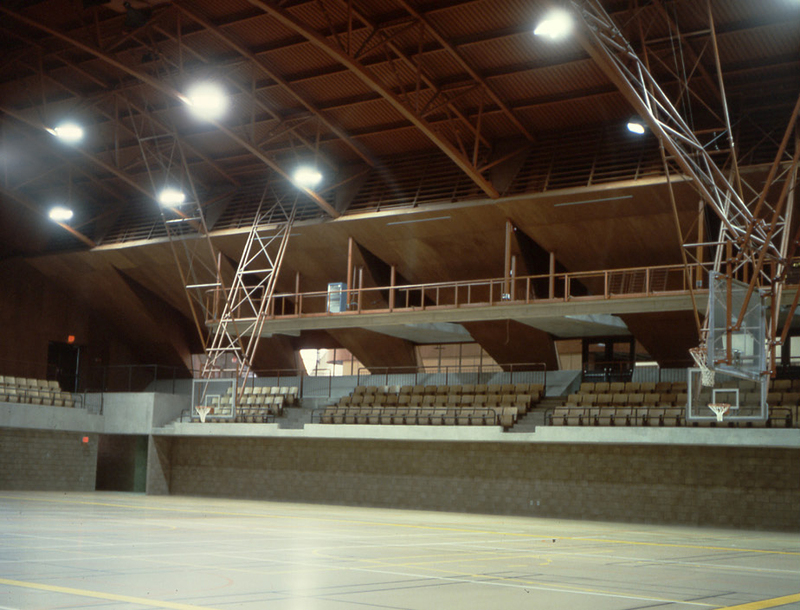 Facilities include: Gymnatorium (gymnasium and auditorium), International-size basketball court – 500 fixed seats and 500 mobile bleachers, Four team rooms, Two officials’ rooms, Year-round international-size ice arena – 600 fixed seats, Four team rooms, Two officials’ rooms, Fitness gym and testing area, Squash courts, Crafts and teaching area.